Akshay Kumar on Monday shared a new poster of his upcoming film Kesari. The film is all set to hit the screens on 21st March. 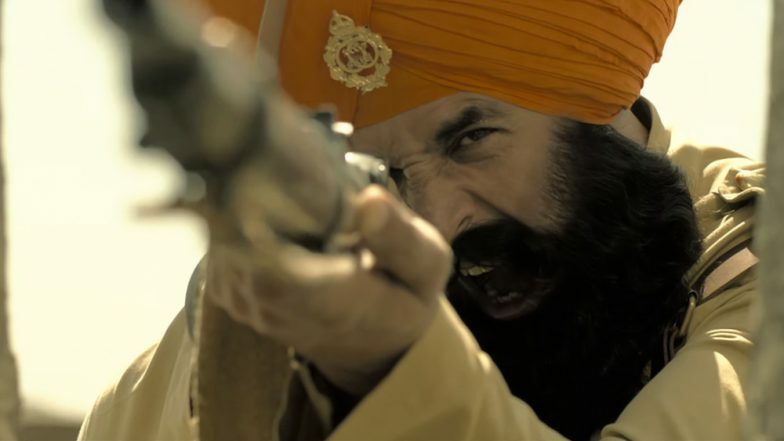 Glimpses Of Kesari (Part 2) is here and same as part 1 this, too, gives a glimpse of the Battle of Saragarhi which was fought back in 1897. "Presenting the first one from the glimpses of Kesari", Akshay wrote while sharing the video. Along with the poster, he wrote, "Unraveling the pages of history to the bravest battle ever fought". Netizens have even predicted that the movie will be a blockbuster just by the looks of the poster while many commented that the film will before they have never seen before. The film also marks the first collaboration of Parineeti and Akshay Kumar. Klobuchar told reporters in early January that she was "getting close to a decision" about running for president in 2020. Paul resident, described himself as an anti-war advocate and carried a sign that read, "No war 2020" and "No Klobuchar". Apart from Kesari, Akshay Kumar has Housefull 4, Good News and Sooryavanshi in his kitty. He started the day by sharing a poster of the movie wherein we see his character Havildar Ishar Singh, in all his glory.